Combative, provocative and searingly blunt, Admiral Hyman G. Rickover was a flamboyant maverick, unique American hero. Unafraid to buck the system, he alienated Navy brass, yet inspired the men under him. Learn about the man who created the nuclear navy, as well as the civilian nuclear power industry, this week on ThinkTV and CET. 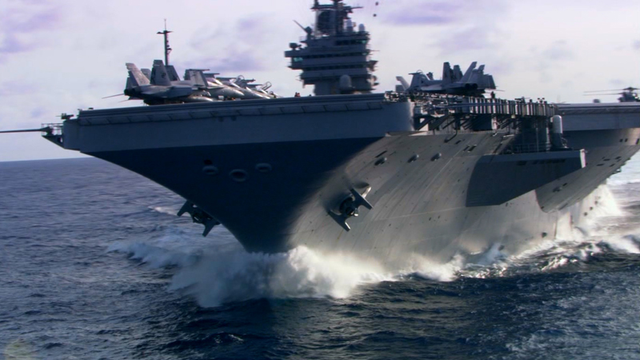 Rickover: The Birth of Nuclear Power, a new two-hour special, airs at 8pm Tuesday, Dec. 9, on CET and ThinkTV16. When few thought it possible, then-Captain Rickover began his quest to harness the power of the atom to drive the first nuclear-powered submarine, the USS Nautilus, whose trip under the polar ice pack was one of the great adventure stories of the 1950s. Later, Rickover built the world’s first commercial nuclear power plant at Shippingport, Pennsylvania. Many questioned Rickover’s goal of a nuclear navy, with its high price tag and unknown risks while others questioned his methods. However, few contested that he had transformed the Navy and much of U.S. industry and changed the course of America’s technological development.